Chateaugay, NY (April 6, 2019) – On some occasions, bad weather conditions can contribute to some of the most serious accidents that happen on our roads. This is what happened in one case involving an accident and injuries that affected one woman. 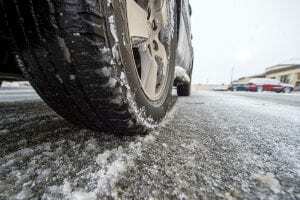 A North Carolina woman, identified as 35-year-old Shemika Outten, was involved in a car accident that caused injuries after bad weather conditions. Outten, of Winston-Salem, NC, had been driving her 2002 Ford Explorer on State Route 11 when her vehicle was involved in a crash and left the roadway, running into a ditch. When first responders arrived at the scene of the accident, they found Outten with injuries to her face. She was transported to a local medical center for treatment. Charges have resulted from the accident but the investigation continues. Out of every 100,000 New Yorkers, about 31 will be injured in car accidents that take place on our roads every year. There are approximately 6,207 hospitalizations in a year’s time due to serious accidents, many of which can be prevented. We understand that it can be a difficult time to face the aftermath of an accident and would like to extend our sincere and genuine thoughts to the injured party, with the hopes that she will receive a full recovery. You have rights and protections under the law following your New York car accident and we would like to stand by your side every step of the way. Our attorneys at Hach & Rose have handled many claims for clients in the past that deal with car accidents in adverse weather. We understand that you might not just be dealing with the physical toll that a car accident can take on your life but also the emotional and financial strain that they can cause. You have rights and we will help you move forward. Contact us for more information immediately at 212-779-0057.